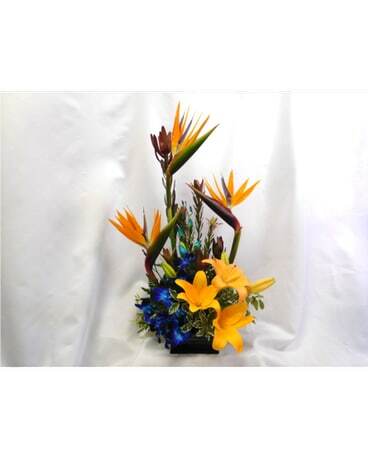 This unique arrangement is elegant with a modern twist. 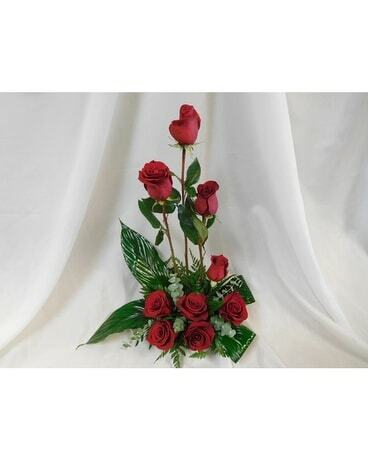 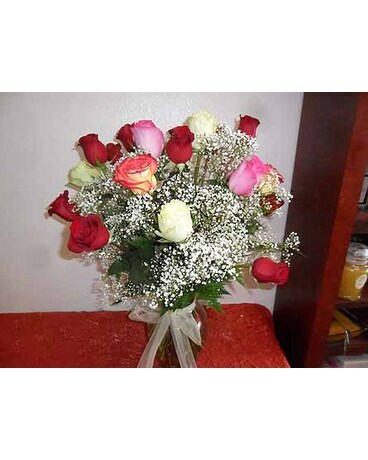 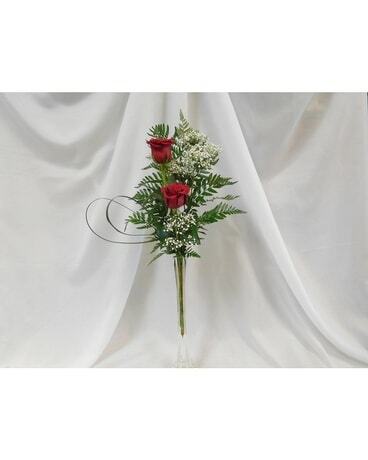 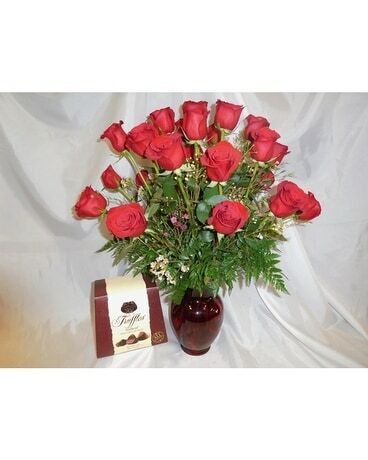 With red roses artistically designed in an zen style, it is the perfect arrangement for that person who has an eye for art. 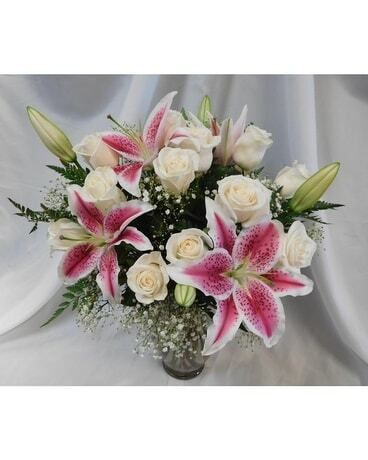 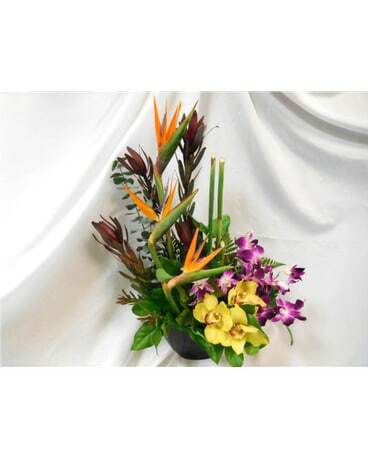 The long lasting greens are the perfect addition to this arrangement.